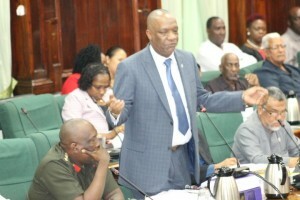 Brian Tiwarie has come out swinging at President David Granger and several sections of the media over his appointment as Business Advisor to the Minister of State, Joseph Harmon and the subsequent reportage on the said appointment. 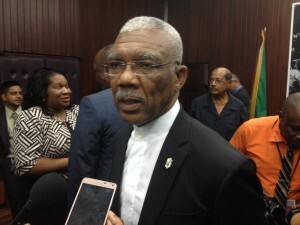 Both BK and Harmon have come in for sound criticism from several sections of society as persons condemned the Appointment that was made in light of the fact that Guyana has a Minister of Business. In a detailed press statement on Monday, Tiwarie said other Government officials have made several such appointments and relating to those there is an absence of a sustained campaign and public outcry. The businessman said that the President should also seek to rescind those appointments and not his alone. “Maybe in the interest of fairness the President should revoke all of those too and for the very reason given when he acted impulsively in revoking the appointment at a time when Minister Harmon was out of the country. It may well be that in quieter time the President may have an opportunity to reflect upon the propriety of impulsive decision making,” the statement from BK noted. Tiwarie also stated that he was not receiving any funds for his appointment as would have been suggested by political commentators. He said that his relationship with Harmon predates APNU, the May 2015 elections and his appointment as Minister. “The truth of the matter is that a political struggle is underway between various elements in high places and the Tiwarie so called appointment is being used by many to achieve their objectives. He is rightfully perceived as quiet, powerful and influential even more than the now famous Luncheon and this has provoked the struggle for power, for influence, for turf,” the release stated. 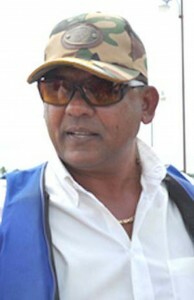 The Alliance For Change has already called on the President to strip Harmon of some of his powers as Minister of State.